Hi y’all! This week I wanted to share a project with you that I did quick this weekend. My sister recently moved in with us, and with her came her dog. So now that I have 3 kids and 3 dogs in the house my gardens are in serious danger of being trampled. In fact, the tulips already had a run in with one of the dogs. I needed a way to keep the kids and dogs out of the flowers without spending a ton of money, plus I don’t want a fence to hide my pretty flowers. I came up with the idea of using 1x spikes and string to create my own fence. If everyone wanted to they could easily step over the fence but it is a good deterrent and shows them to stay out. It’s worked so far! Here’s how to do it. We went to Menards and got a pack of 1x and some mason’s line to use for the fence. Then all you need is a drill, large drill bit and a rubber mallet and you’re all set. First I pre-drilled two holes into each 1x. If you want to measure each piece so they are exactly the same you can. I am to impatient of a person for that (and this needed to get done during nap time) so I eyeballed on my first piece where I wanted the holes to go, then used that piece as a template for the rest. After the holes are drilled now would be the time to paint or stain the wood if you want, I chose to leave mine untreated and let it weather over time. Next step is to figure out where you want your 1x’s to go and take your rubber mallet and start pounding them in. I love the rubber mallet for two reasons 1) it gives you a larger surface area making it easier to hit the stake 2) It won’t chip the wood if you hit one of the ends. And it’s safer for little helpers. However, on my last two stakes my mallet broke. (Sad Day) So I had to use a hammer and did end up chipping my stakes. Next, you pick an end and feed your line through, once you can find the end of it. (Seriously took me like 5 minutes to find it) I left the string roll at the far end and let it roll as I was pulling. Pro Tip: Use a lighter to melt the ends of your strand so it’s easier to feed through the holes. And ta da! Quick and easy fence to keep the kids and dogs out. Looks cute and didn’t break the bank. Like this project and want to see more? 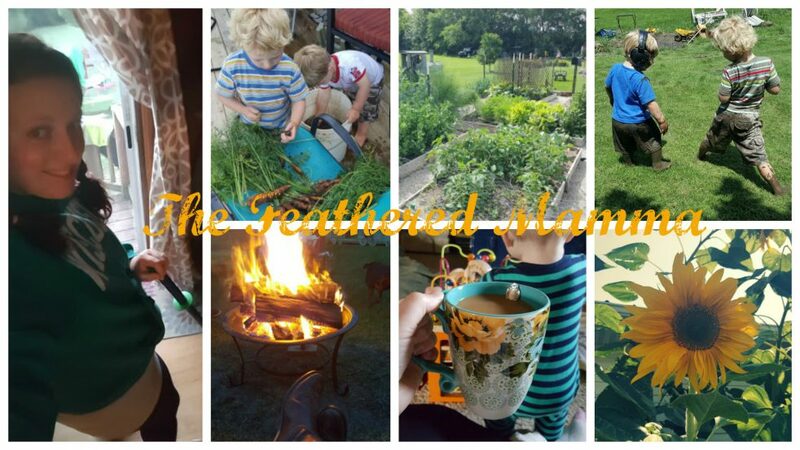 Follow me on Facebook at https://www.facebook.com/TheFeatheredMamma/ or subscribe to my blog to get updates when new stuff comes out. Make sure to share with your friends!